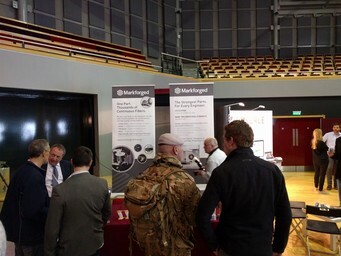 A reflection on exhibiting the Mark Two 3D printer at DEVELOP3D Live 2016 in Warwick, UK. 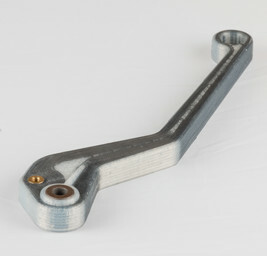 Markforged demoed carbon fiber industrial strength 3D printing. DEVELOP3D Live always gives an incredibly insightful look into the present and future of modern manufacturing and the product design process, and 2016 was no exception. 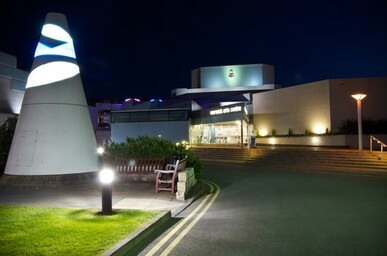 We traveled across the Atlantic to Warwick, England, where DEVELOP3D was hosting their annual conference and exhibition on all aspects of the modern product design lifecycle, at the University of Warwick’s Arts Centre. ‍A jam-packed day, at breakneck speed, of all things related to bringing products to market faster. 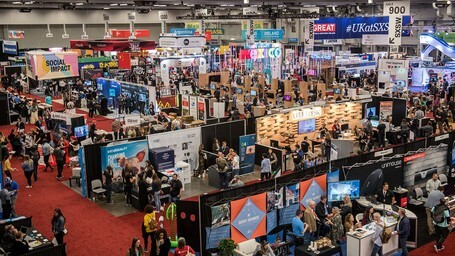 DEVELOP3D Live is a one day only show, which means the day is absolutely packed to the brim with amazing demos, thought-provoking talks, and insights and tips from the best in the industry. We listened to and learned from leaders in product and engineering design, reverse engineering, metrology, 3D modeling, VR, and so much more. It was also a fantastic opportunity to meet up with some of our friends in the industry and celebrate the opportunities, learning moments and successes of the past year, and we caught up with a bunch of our peers we hadn’t seen in a few months! ‍The only photo of the booth I managed to grab – the booth was too packed otherwise! 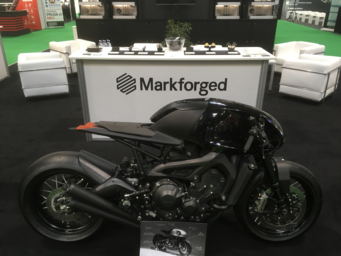 DEVELOP3D Live also gave Markforged our first opportunity to exhibit the Mark Two 3D printer at a major European technology conference. We love to share what our printers are capable of at conferences and trade shows, especially because the best way to experience the strength of a Markforged composite reinforced part is by trying (and failing!) to break one in person! One of my favorite moments at any show we go to is watching the look of awe dawn on someone’s face as they realize just how strong true carbon fiber 3D printing really is. We had a torrent of people stop by to check out the Mark Two, with a huge assist in the form of an awesome shoutout from 3D Hubs, who discussed our high strength materials in their talk. We had quite a few curious people come by to see what industrial strength 3D printing was all about after the 3D Hubs session! ‍Our trade show carbon fiber motorcycle clutch lever demo – come find us at a show to test your strength versus ours! The best part of this job just might be the conversations with engineers, product designers and other creators as I introduce them to the Mark Two, and then begin to brainstorm with them how a Markforged printer can accelerate their design cycles, manufacturing operations or even end use parts. 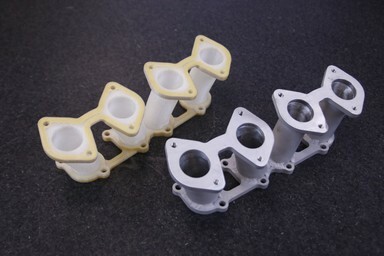 Its a beautiful blending of imagination and real world engineering as we look at both their current workflows and then the possibilities that are opened by the capabilities of a Markforged printer. We heard from people developing rehabilitative exoskeletal assist devices, prototyping shops large and small, a few very cool English automotive manufacturers and more – each with their own unique story and engineering needs. This, for me, is the real reason we do what we do – to advance the development of hardware products through accessible, industrial strength 3D printing technology. One of our newest trade show displays and customer spotlights – a custom Kevlar-reinforced air intake manifold from Turret Lathe Specialists. All told, we had a phenomenal time ‘across the pond’ and we can’t wait for next year at DEVELOP3D Live 2017! Want to learn more about the Mark Two? Request a demo today! VP of Product Jon Reilly talks TCT, additive manufacturing, and more.